How long have you been with SWO? : 10 years- wow, it feels really weird to think I’ve been here a decade… midway through my 3rd presidential term sounds better and makes me feel less old. What has been your career progression thus far? : Started as entry-level inside sales executive back when you actually printed orders and walked them to the purchaser. 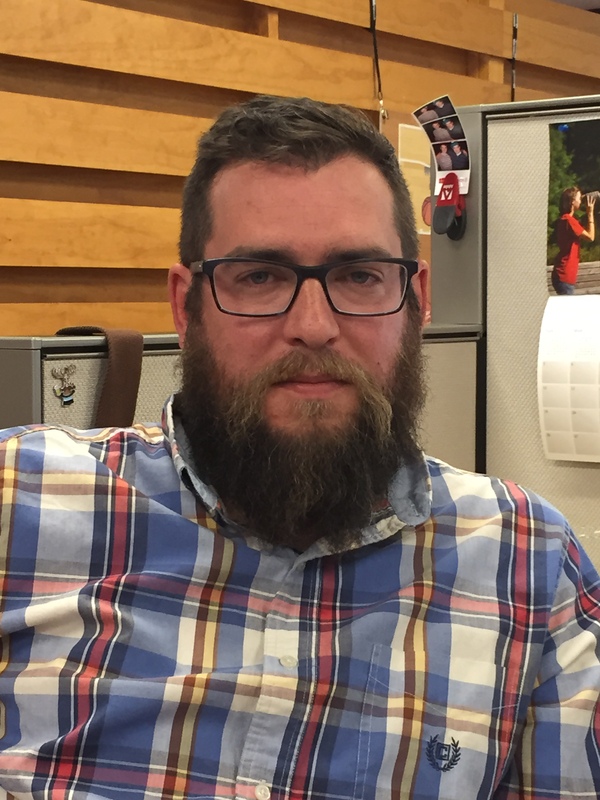 I have worked for our Global Expertise Team and now I lead our Hosted Solutions group in the US. Favorite part about working at SWO: The culture/people- starts from the CEO on down where empowering people to be entrepreneurial in their business is the primary philosophy. The emphasis is on being successful to the business by utilizing the strengths unique to the individual, and avoiding as much of the “Office Space” type climate that kills morale. People are the key asset here, and those that work hard, strive to be the best, and are willing to help others are those who stay, and thereby create a fantastic group to work with. Biggest challenge you’ve faced at SWO: Literally the first day- I didn’t know what a server was, I thought it was someone who brought me drinks. I had no experience with IT whatsoever, so the learning curve was pretty massive. What is a typical day like for you? : Best part about it, is there isn’t a typical day. The best days are when you are working with clients to help them understand the options at their disposable to help enable their business- the worst are when you are having to explain some financial risks they’ve likely acquired through some means of misinformation. What activities do you enjoy in your spare time? 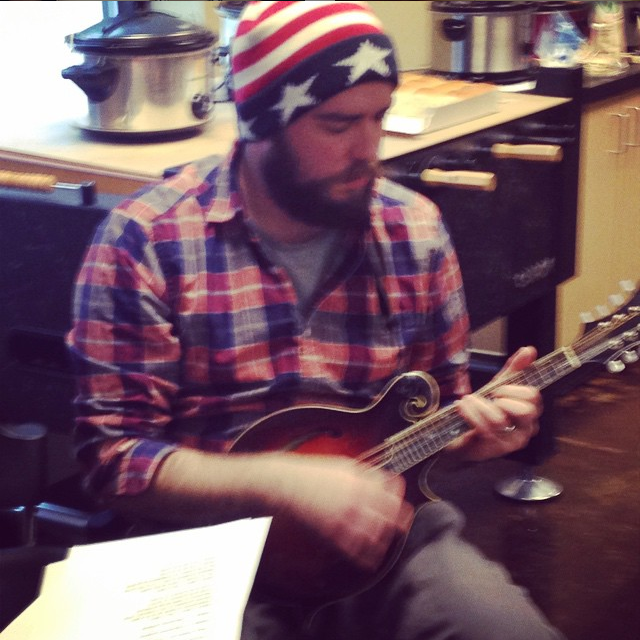 : Getting out of the house with the kids, reading as much as I can, and annoying my wife by playing a variety of bluegrass instruments. Where do you see yourself in 5 years? : At SoftwareONE leading some group that likely is not even in consideration yet due to the ever evolving nature of our industry, and helping folks get to their next level where I can. Justin is SWO’s unofficial official Rock, Paper, Scissors emcee. 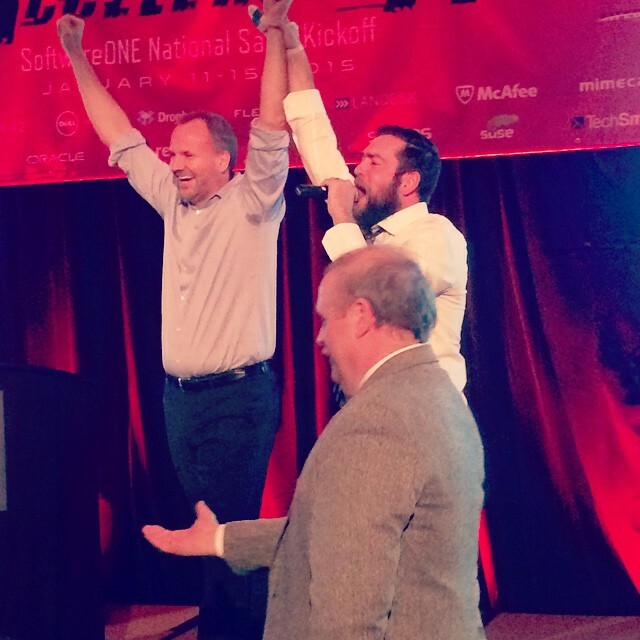 Here is Justin at our National Sales Kickoff declaring our CEO, Patrick Winter, our 2015 Rock, Paper, Scissors Champion! give for return. You will have the opportunity to grow faster here than anywhere else in the industry should you so choose. Come work and play hard with us! If you have a work hard/play hard mentality, put it to good use at SWO Careers!